OI-7480 ProSafe 4x8 Wired Gas Monitor - Otis Instruments, Inc. 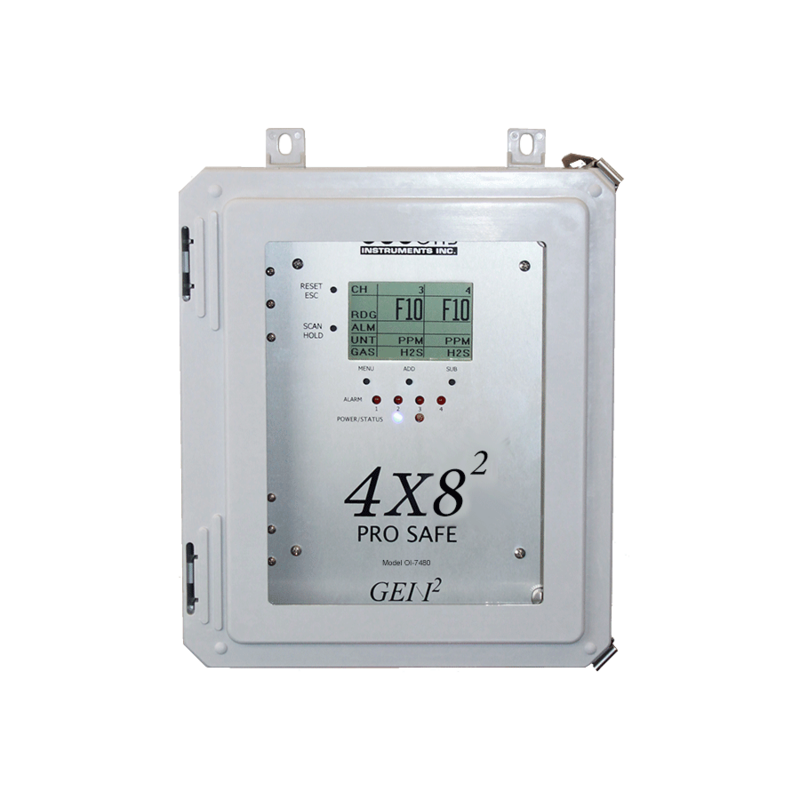 The Otis Instruments, Inc. Gen II ProSafe 4×82 Model OI-7480 is a eight (or twelve) channel gas monitor that functions as a transmission controller. The OI-7480 monitors toxic, combustible and oxygen gas levels in ambient air by receiving and displaying 4-20mA signals from up to eight (or twelve) wired sensor assemblies. The OI-7480 features a 160×104 graphical LCD display and is equipped with four “dry contact” (Form C) 5 Amp alarm relays (with 4 Amp fuses) that are full-scale adjustable. The OI-7480 operates with either 12-35 Volts DC or 110/240 Volts AC power-in and includes a Modbus output with optional real-time monitoring software. The ability to display data and activate alarms in relation to readings sent from on-site sensors make the OI-7480 a truly phenomenal product in the safety realm of the gas industry.